The number of people detained by Immigration and Customs Enforcement (ICE) hit an all-time high of 44,631 last month, about 4,000 more people than Congress has allotted funding for. Faced with a similar funding shortfall earlier this year, the Department of Homeland Security moved $100 million from other areas of its budget—including the Federal Emergency Management Agency—to ICE. Campaigns and political action committees spent at least $3.2 million at Trump-owned and branded properties in the two years running up to the midterm elections, according to Federal Election Commission filings. The Republican National Committee spent at least $1.2 million at Trump properties, more than any other single group. The average wedding in the U.S. now has five bridesmaids, up from four in 2007. 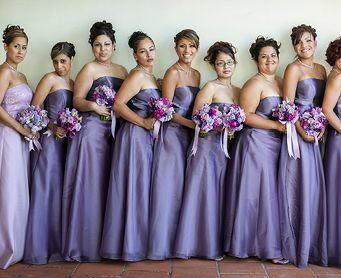 Between travel expenses, dresses, and hair and makeup, a bridesmaid can expect to spend $1,200 per wedding. Minnesota is now the only state where control of the legislature is split between Democrats in one house and Republicans in the other. Otherwise, Republicans completely control 31 state legislatures, while Democrats control 18. Reported hate crimes rose 17 percent in the U.S. last year to 7,175, according to the FBI—the third consecutive year the numbers have increased. Anti-Semitic hate crimes climbed by 37 percent last year, and anti–Hispanic and Latino crimes went up by 24 percent. 61% of Democrats think that Republicans are racist, bigoted, or sexist, and 54% say they are ignorant. 54% of Republicans believe Democrats are spiteful; 49% think they are ignorant. 31% of Americans say they’d be disappointed in a close family member who married someone with political views different from their own, including 41% of Democrats and 26% of Republicans.